Service champions: From the start, the common goal of our highly skilled team, is to deliver the highest level of service to each individual client. Manzanares Abogados, SLP, was founded over 20 years ago and has since continually followed the path of expansion and growth. We are industry leaders, constantly expanding the scope and variety of our areas of practice. Today we boast a network of offices across Spain from where legal services are offered in both the coastal areas and the interior of Spain. An international reference in service, integrity and expertise in the range of services we provide. Our company is more than just a lawyers practice. Manzanares Lawyers is a collaboration between a group of highly qualified professionals, all rigorously selected; not only for their aptitude in the job, but also for their personal capacity to form part of our consistent and united team. Every team member is an ambassador of Manzanares Lawyers and represent the reputation of a company, dedicated to providing services of maximum quality. Our lawyers receive continuous formation throughout their career, within their area of practice. We encourage maximum effort from every individual; always working to achieve and maintain the core values and essence of the company. The efficiency and quality of our practice is directly related to our physical presence where our clients’ interests are situated. Our objective is not to internationalize a group of Spanish lawyers, but to create an international firm of local lawyers, who can seamlessly offer first-hand knowledge of the quirks and characters of each region. In fact our local knowledge is key to being able to offer a premier service to our clients. To ensure this, Manzanares Abogados, SLP, has expanded presence in diverse locations; not only occupying typical Spanish coastal areas, but as well opening offices in inland locations such as Alhaurín el Grande. 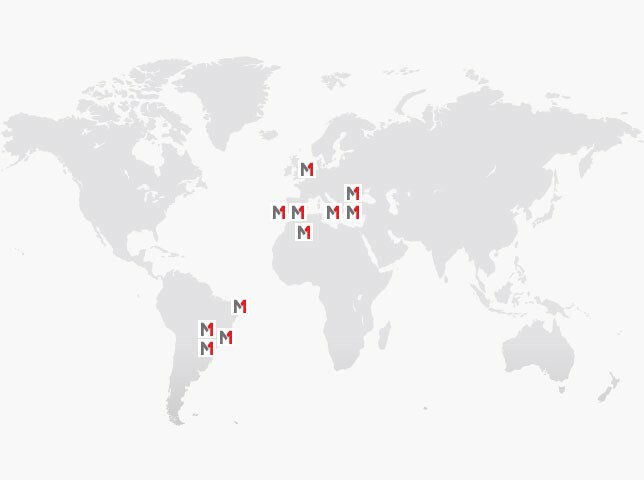 For the services outside of Spain, Manzanares International Lawyers, SLP, holds presence in the countries Bulgaria, Brazil, Morocco, Italy and Turkey, in collaboration with local professionals. Our legal advisory service is entirely independent, promising absolute loyalty to our clients. We don't just defend your interests, we surpass your expectations. Manzanares Abogados is an international and specialised firm, in which our clients, who generally reside abroad, can deposit complete confidence and peace of mind with us, in the knowledge they are entrusting their needs with the best professionals. Trust is the fundamental factor you build between client and lawyer. But it’s not just about winning a client’s trust, it’s about maintaining it and to achieve this, it’s essential to offer a consistent and satisfactory service. At Manzanares, your trust is our greatest asset. Manzanares Abogados pledges to every client to deliver a constant open-line of communication, keeping you informed and regularly up-to-date on your case. What’s more, we always follow-up any communication in writing, to ensure our clients have a clear understanding of the counselling process, and ultimately peace of mind that we have everything in hand. Existing laws and regulations are subject to different interpretations and, of course, vary from region to region, which is why it’s essential to have a thorough and solid understanding, to ensure we present your case clearly using the correct legal stipulations for the region. Manzanares is proud to work with partners of renowned authority, in all areas of the law. We form an international law network, with local, on-the-ground expertise. Our professionals bring years of experience and first-hand contact with authorities in their region. Our momentum, consistency, professionalism and on-going commitment to acquire new skills and knowledge, guarantees paramount quality in every area of practice we offer. What’s more, Manzanares Abogados has a dedicated customer service team at the disposal of our clients. Their primary aim is to answer your queries and concerns. To offer appropriate solutions and deliver those solutions in your own language. The foundations of a solid company are built brick by brick every day. Starting with a highly qualified team, on-going growth and development of a business on an international level - to go wherever our customers need us. This robustness is reinforced with every job we successfully complete, developing and maintaining trust with our customers and shaping values of independence and loyalty within our company structure; in turn providing a matchless service.